NOTES: A nice kit of a subject few have modeled before. The S-class or Srednyaya (Russian: Средняя, "medium") submarines were part of the Soviet Navy's underwater fleet during World War II. Unofficially nicknamed Stalinets (Russian: Cталинец, "follower of Stalin"), boats of this class were the most successful and achieved the most significant victories among all Soviet submarines. In all, they sank 82,770 gross register tons (GRT) of merchant shipping and seven warships, which accounts for about one-third of all tonnage sunk by Soviet submarines during the war. 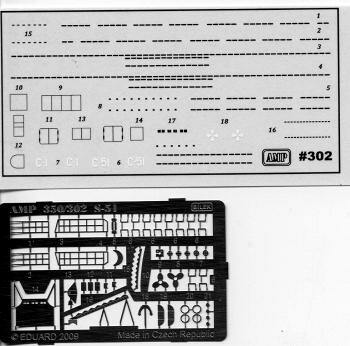 Opening the box, one is confronted by three sprues, a photo etch fret (produced by Eduard) and a nicely printed decal sheet in black and white. The kit allows the building of one of three different submarines, each of which has a different design of conning tower. Most of the parts count is on the photo etch fret as that includes all of the small pieces as well as props and the railing around the gun. The molding is fairly good with only one big molding glitch, a huge sink area right in the middle of the deck. However, looking through the three pages of instructions, it seems this will be covered by the conning tower assembly, so a sigh of relief on that one. There is a stand with a single mounting point, though there is no cutaway hole already molded in the hull. Means you'll have to open one yourself. Instructions are well done and leave no doubt as to what part goes where. There is no particular paint line info, just generic color information. Despite the colors shown on preserved subs in the reference, these are grey on top and black on the underside. 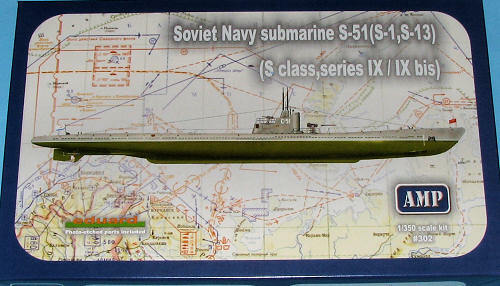 You can build either S-51, S-1 or S-13 and you are shown any modifications needed to portray each ship. S-1 has an enclosed 'turret' for the forward deck gun that is interesting. The small decal sheet is well printed and should cause no concern in application. For those of us whose forays into things nautical are basically limited to submarines, this will be a very nice addition to the collection. 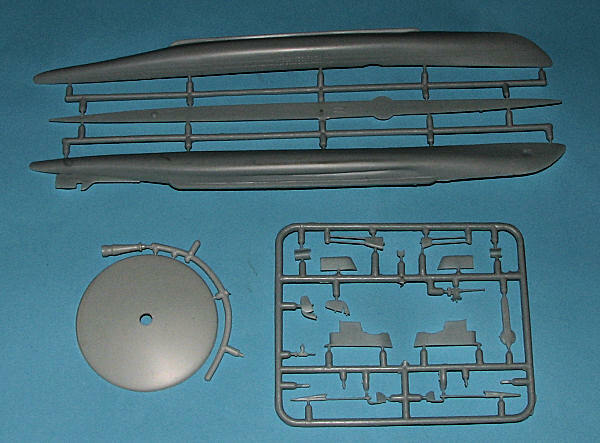 You can get this and other interesting kits atwww.scale-model-kits.com and at a discount as well.